It’s nice to go out on my own terms. It is rare for a head coach to have the chance to retire any more. It is never easy to step away, but I’m grateful that I had a chance to make that decision in a timeframe that is best for me and for the program. I look back now and it was just kind of a feeling. I was reflecting recently that, early in my tenure, my strategy was for me to coach until I was 62 and fully turn the program over to René, my wife and co-head coach, to continue as the sole head coach. Of course, it didn’t work out that way. I had to adapt from that plan. I had to keep things going, continue to grow and build this program and I feel like I have reached the point where I will be okay turning it over to someone else. The Razorbacks are in a good place. Expectations have always been really high and maintaining and adapting to meet those expectations is hard. By the very nature of our sport, gymnastics is the chase of perfection. When a gymnast steps to the runway or steps to the floor, everything is possible. From there, scrutiny sets in. Whether it is a slight deduction for a bobble on the beam or a major deduction for stepping outside the boundary, a routine begins with an elevated start value but often ends with a final score short of its maximum potential. Each and every day you work to perfect the little things in an attempt to make a good routine great and a great routine perfect. It isn’t that you don’t celebrate the remarkable accomplishments along the way. We have had many! But your focus is always on what is next and how we can make it better. For nearly two decades, that is the lens in which I have viewed my role within our program. However, now as I step away from what has been an all-consuming pursuit, I am able to view with more clarity not just the imperfections of the journey, but celebrate the accomplishments that were born out of those opportunities. As I faced a difficult transition in both my personal and professional life, it was really a challenge to replicate the dynamic that René and I had in the early days of the program. However, I made a commitment to myself that I would work to get back to that nationally-competitive level. It is not something that I accomplished on my own, but thanks to the efforts of my coaching staff and our student-athletes, I am confident we are trending in that direction again. Few coaches have the opportunity to help shape a program since its inception. That opportunity and challenge was what first drew René and me to the University of Arkansas. We were at a premier university at Stanford. We had great recruiting classes and things were going well. I was near my family, but we were all the way across the country from René’s family. We had been talking about trying to at least get to the middle of the country to be a bit closer if an opportunity presented itself. I reached out to (Arkansas women’s athletics director) Bev Lewis when I heard that Arkansas was going to start a gymnastics program. 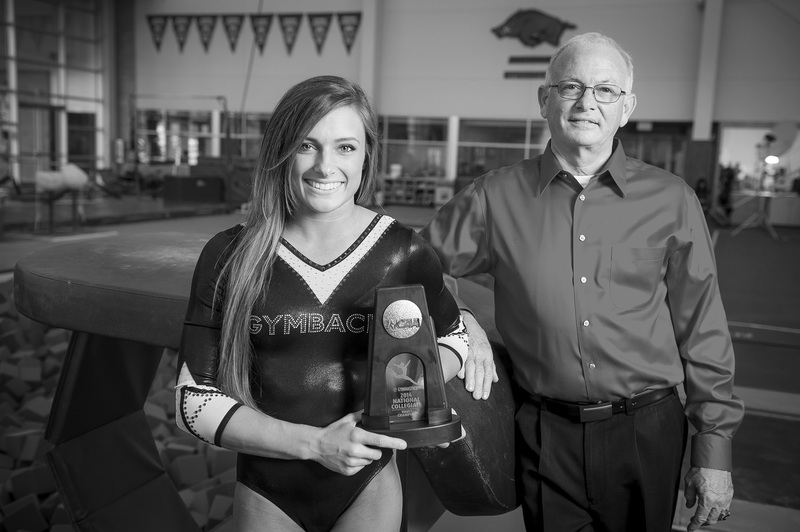 There was a buzz in the gymnastics community, and I reached out to Bev and said that I would be interested in learning more about Arkansas’ plans. Bev contacted me and invited us out to check out Arkansas. René and I were both really intrigued. It is interesting to think you could create something from scratch and make it your own – there are not many opportunities like that in college athletics. I said well then, we are going to sell refrigerators and we are going to be the best refrigerator salesmen the gymnastics world has ever seen. The point was that he realized how hard this was going to be but the fact that he, Marilyn and Bev all believed it could be done – that support – was what really sold René and I that this is where we wanted to be. I sat in my backyard for five nights looking at the stars, trying to be sure I could leave my family and friends and a program that I loved to take a chance on Arkansas. I said to myself ‘You gotta do this.’ I didn’t want to look back on my life and have any regrets. We had to really pound the pavement the first four or five months to make people aware that we had a program. We had no practice equipment, no leotards, nothing. We had a media guide with a lot of abstract photos and some promises to the future student-athletes about what this could be. It was a huge leap of faith for everyone. I felt like if I stayed at Stanford, I could win a national championship as a head coach. I knew that the SEC was so strong that I might not get the chance to do that at Arkansas. My biggest regret was that I didn’t win an SEC or NCAA Championship here. The chance to build this from the ground up was one of the most satisfying experiences of my lifetime. There were so many great moments over the 18 seasons and that all adds up to creating an amazing experience that I have had at Arkansas. There was nothing here but a dream to have a competitive gymnastics team in the best collegiate conference in the nation. René and I signed 11 freshmen that first season and defeated one SEC team. We were scoring something like 194 or 195s. But that group of gymnasts really bought into our dream and they worked hard and got better every season. I will never forget how, in year four, we were fortunate enough to host an NCAA Regional and we competed against some really good teams in Fayetteville – Florida and UCLA. Our team was sitting on the floor waiting for the final scores to be announced and the scoreboard flashed that we were in second place. There was kind of a stunned silence and then, all of a sudden, an eruption of emotion. We defeated national powerhouse UCLA and were going to move on to the program’s first NCAA Championship. It was like a storybook ending to our seniors’ four years in our program. That group of gymnasts are still so special to me. That moment is still something we reflect on and was a pivotal moment in the growth of our program. My career at Arkansas is filled with moments, maybe not as dramatic as our first trip to the NCAA Championships, but all equally meaningful. We have hosted five NCAA Regional meets and advanced to eight NCAA Championship meets and those are great accomplishments. But what I will reflect back on are the moments overcoming the obstacles – the fight – and sharing those moments with some incredible people. We had some amazing moments here. Katherine Grable’s national title was immensely satisfying. I was so proud of and happy for her. When she hit her vault and stuck the landing – well there just aren’t any words to describe it. 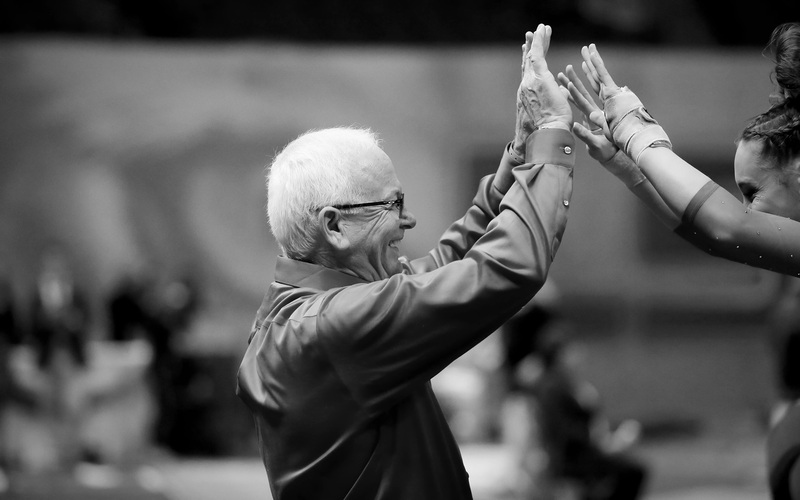 It was one of the best moments of my career – the best vault I had ever coached in competition. I look back and know that all of the promises came true here. Everything we were told when Bev and the University were recruiting us came true. Things like building one of the best practice facilities in the country, elevating the status of our university, improvements in things like dorms and student-athlete amenities – it all happened and more with the Jones Center and expanded programs to prepare our student-athletes for life after college. There are so many things we never had before. In the last four years, we have built the Jones Center and expanded on programs that prepare our student-athletes for life after college. There are so many things we never had before. The opportunities for success are all here. And the fans! When we were recruiting those first teams, we told them that we were going to pack Barnhill Arena and that we would have this amazing atmosphere – they had to take our word for it. We made the promises, but the Razorback fans made those promises come true. Our fans came out in droves to watch our teams compete. We had students who would paint themselves, so they looked like they were wearing a leo. I’ve never seen anything like that. Our fans even come to intra-squad meets and the autograph lines are incredible. It is a really satisfying feeling to know that we have influenced the lives of our gymnasts but also that our gymnasts have touched the lives of our fans, including generations of young girls. But it has gotten harder. To compete and win in the SEC and nationally takes a full commitment. I still look forward to many things that are a part of my life as an SEC gymnastics coach, but I am also finding more and more things that I would like to do or accomplish outside of the gym. I just know it is time to move on. The first person I told was my stepdad. He was the first person. He said that I had done a good job here. I just recently told René – it was really hard to do that. I told a few others who were close to me because I needed the support. I needed help to process it. I didn’t tell the team until the season was over, because I didn’t want my decision to be a distraction to what this team was focused on or take away from our seniors. I know there is a starting point and an ending point. I have given everything I can to this program and now it is time to step aside and let someone else continue to move the Razorbacks forward. It’s time to let go and let someone else have a shot at it. I told the team, coaches and all of the support staff how much I appreciate them taking a chance on the University of Arkansas and on me. Those relationships will be things I carry with me forever. I asked them to embrace the new leadership and continue to help move this program forward. I thanked them for everything they have poured into our team. I always thought that I wanted to be remembered for winning championships and having All-Americans but as I approach this new chapter of my life, I look back and think about things like running the program the right way with integrity and honesty. I know that I gave everything I had to this – to building this program. There are a few things that I would say to the next coach of the Razorbacks. Remember that you are not alone. 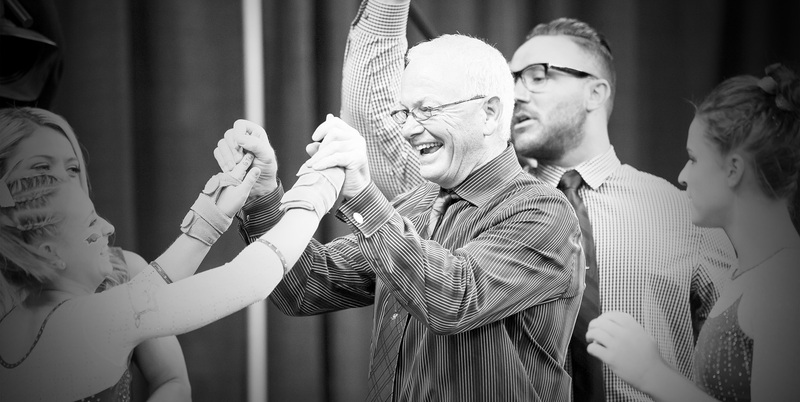 There are a lot of great people in our department and throughout the Razorback Gymnastics community who want to help you succeed. Rely on those around you. This job is not a stepping stone. This is a destination job – something to aspire to and be here a long time so make that commitment every day. Think about this position as being a work of art and you are the artist. Be an artist who creates a masterpiece – not someone who is just painting the kitchen. I have a few things planned – I really needed something to focus on once my time here came to a close. I’m going to Europe for a couple of weeks and I have trips to Vegas and California to see my family planned. I want to ride my motorcycle and reflect a bit. I want to put myself first for a bit and process everything that has happened. I’ve worked in competitive gymnastics for over 40 years and it’s hard to walk away from that. I know that, for me, I’m moving into a new stage in my life where I will have a chance to change my focus – to do things for myself. I also know that no matter where I am – on a mountain skiing, kayaking in the ocean or backpacking – that I will always have a big place in my heart that belongs to the Razorbacks. 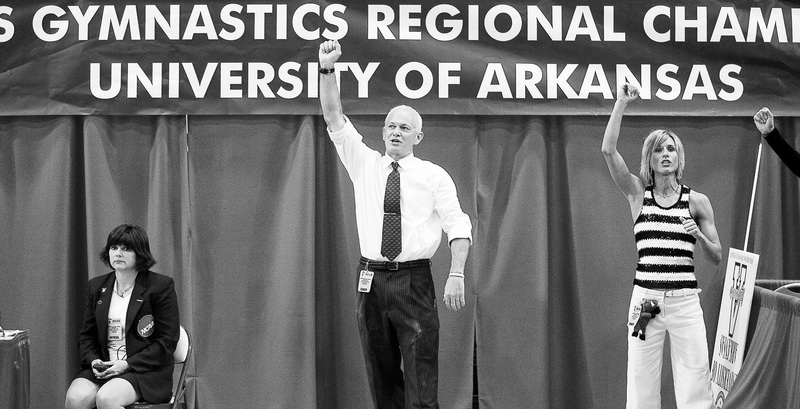 I may be retiring from being the head gymnastics coach at the University of Arkansas, but I will remain a Razorback for life!